"America's the promised land to a lot of Irish people," Bono told Rolling Stone. "I'm one in a long line of Irishmen who made the trip." 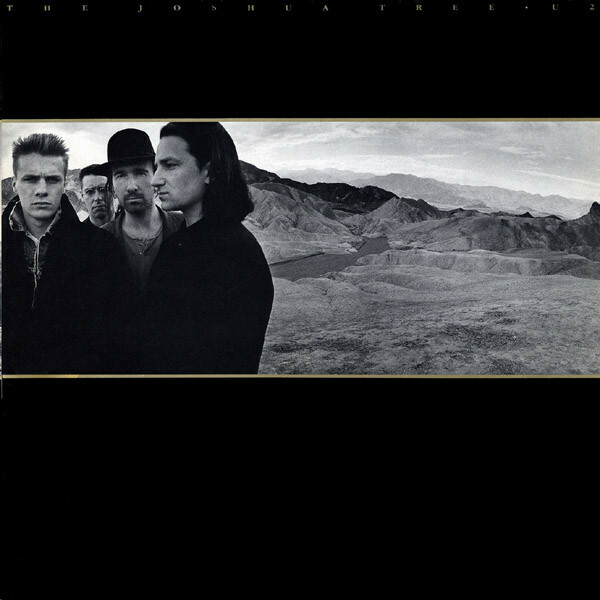 On U2's fifth studio album, the band immersed itself in the mythology of the United States, while the Edge exploited the poetic echo of digital delay, drowning his trademark arpeggios in rippling tremolo. One of the most moving songs is "Running to Stand Still," a stripped-down slide-guitar ballad about heroin addiction, but for the most part this is an album that turns spiritual quests and political struggles into uplifting stadium singalongs: See hits like "Where the Streets Have No Name" and "I Still Haven't Found What I'm Looking For," a rock anthem with a gospel soul.